Check Out Our New RSS Feed Features! We are excited to announce two new features for RSS feeds – collections and tracking codes. If you are not familiar with RSS, or Really Simple Syndication, it is a tool that you can use to promote Zazzle products. For customers, subscribing to an RSS feed allows them to receive updates from that feed via their browser or email without having to manually go to the site. For Zazzle Designers and Associates, the RSS feed allows you to integrate Zazzle products onto your blog or website. For example, the Associate site WeddingStamps.us uses the RSS feed tool to integrate Zazzle stamps onto the site and refer traffic to Zazzle. The screenshot below shows a feed of Monogram Stamps that is pulled from Zazzle. To learn more about using RSS feeds click here. Previously, you could pull a set of products (or a feed) from a store, store category, department, or search term, and now we’re adding collections to the mix! To create an RSS feed of products from a Zazzle collection, you will need to rewrite a collection’s URL by changing “www” to “feed”, taking out the collection name, and adding “/rss” to the end of the URL. 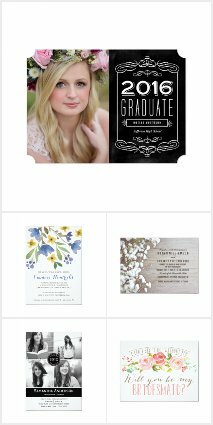 First, you would identify the name Bestselling_invitations and collection ID 119790471480538912. You can customize your collection feed by adding various parameters to it including background color (bg), image size (isz), Associate (referral) ID (at) and tracking code (tc). Here is an example of a collections feed with background color black, referral ID 123456789012345678 and tracking code myweddingblog. Please note that the popularity (st), number of products per feed (ps), sort period (sp), and page size (ps) parameters are not available for collection feeds. Check out our RSS Feed Guide to learn more about creating RSS feeds. Very helpful and very informative post! Elizabeth! Thank you! Thanks for the article. You might wish to know that at the very bottom of this page, when I clicked the RSS image to get RSS feeds of your Tips & Tricks posts, it opens up this page as text: https://blog.zazzle.com/feed/. It does not provide the standard web page where one selects which feed provider one wants to use to sign up. I’m using Chrome. Thanks! Very important and helpful. Thanks! Thanks for the article. I was a bit lost on creating an RSS Feed. Much easier now !